Glasgow has a very special way of celebrating its architectural heritage: every year during the third week in September, the city throws open the doors to its buildings and its parks and invites visitors to discover the secrets of the city with the help of qualified guides and experts, and all for free. There are walking tours, talks, seminars and the chance to visit heritage buildings not usually accessible to the public. 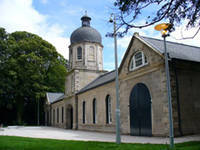 The event is organised each year by the Glasgow Building Preservation Trust and has been running since 1990. Some of the highlights of the event include free tours of Tennents Brewery, bus tours to Easterhouse and Castlemilk, 'Open Gates' at allotments around Glasgow and guided walks of places of interest such as Tollcross Park, Kining Park, The Jacobites, Kelvingrove and many more. Book ahead to avoid disappointment as places are limited for many of the visits. There is a wealth of information about Glasgow Doors Open Day on the website of the Glasgow Building Preservation Trust � www.glasgowdoorsopenday.com. If you are travelling to Glasgow and looking for Glasgow Doors Open Day hotel accommodation, The Sandyford Hotel is an excellent choice due to its convenient location between the City Centre of Glasgow and the West End. We offer our visitors exceptional value on B&B accommodation and all of our 55 bedrooms are en suite with free Wi-Fi access and tea and coffee-making facilities. 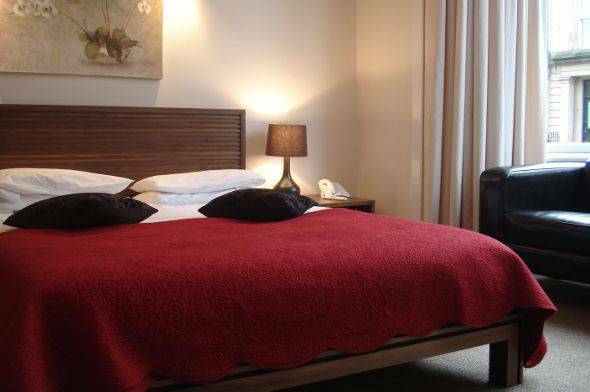 For quality, cheap and affordable bed and breakfast accommodation in the heart of Glasgow, The Sandyford Hotel is ideal. Make a booking today either with the help of the online reservation system or by calling any one of our helpful reception staff. Our reception team is available 24 hours a day for your convenience and they will be happy to answer any questions you may have about Glasgow Doors Open Day accommodation.